Artist Sookyoung Huh invites you to join the workshop of Kimchi and discuss what does food do to shape one’s identity within the history of migration and to impact on the host culture? Food(culture) is not only about the taste matter but also hugely about history, the memory of family, upbringing, homeland. 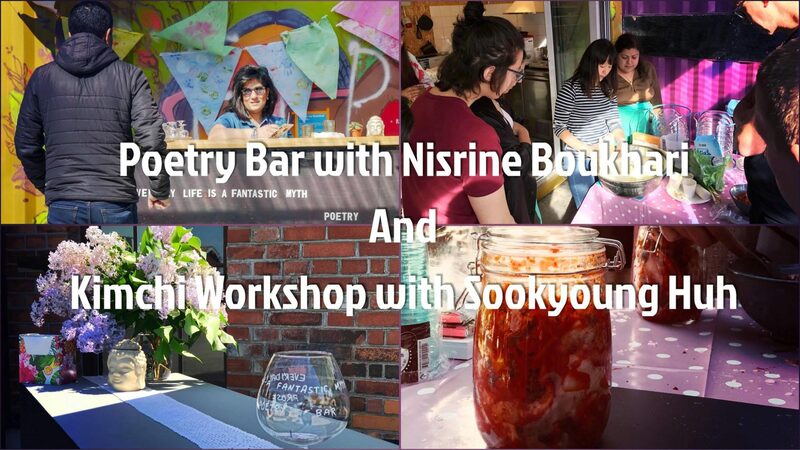 Artist Nisrine Boukhari invites you, to take a break to prose or to write a short poem to express your feeling. The artist will make you the beverage which is inspired by your words, for one time, an exceptional drink will be created, a piece of art made only for you from the taste of your words. This event is part of All Art Now’s “Art in The Summer” program.